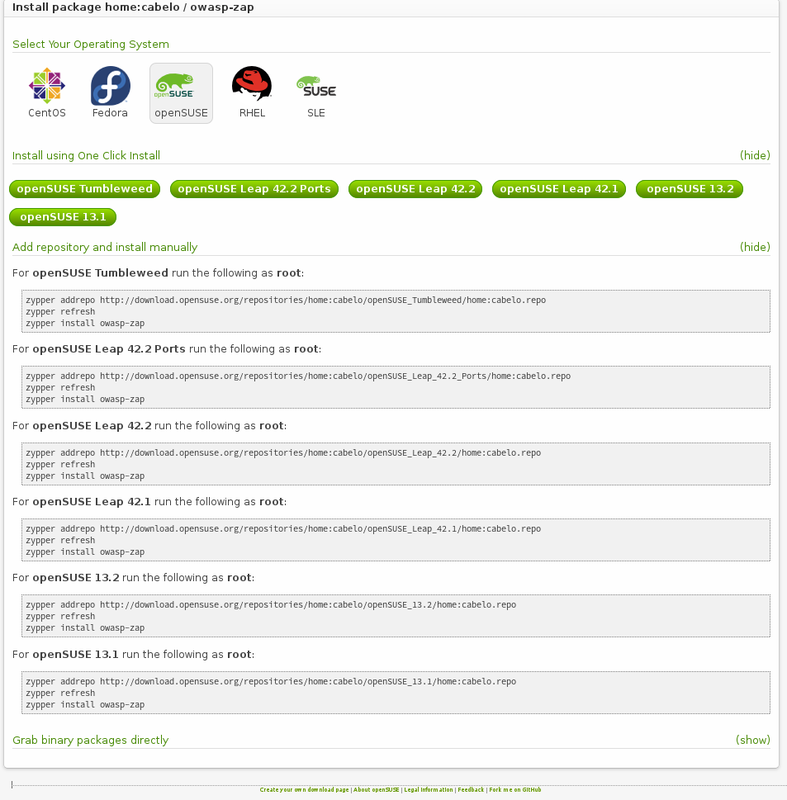 The world is going through a security crisis, so I make the official packages available in openSUSE, SUSE Enterprise, CentOS, Fedora e RedHat. Thank you, Mauro Risonho de Paula Assumção e Simon Bennetts. In this post, there how to watch 360 videos on the Linux platform without the need for special technical magic. 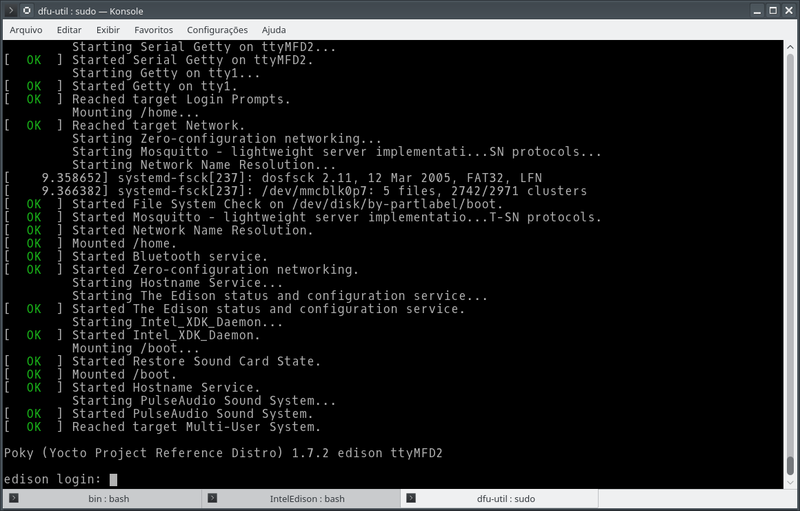 To do this, just use the package QMPlay 2, A player based on QT that fulfills its function very well. In addition to being versatile and effective, bringing an incredible amount of features for you to use, including touchscreen monitor recognition to navigate the video preview. To watch 360 video, first press PLAYBACK the main menu, then choose VIDEO FILTERS, and finally enable the SPHERICAL VIEW option to use the 360 viewing function. For testing, I provide my 360 video on the link below for download. And to finalize at the end a demonstration video of the software running as the installation links ONE CLICK INSTALL in my openSUSE repository. Video example for download AQUI! Neste post, disponibilizo os passos efetuados para atualizar o firmware do meu Intel Edison na plataforma openSUSE. ATENÇÃO: Antes de iniciar deixo claro , que o leitor deste post é responsável por qualquer problema que venha a acontecer com o seu aparelho, logo: sendo de sua inteira responsabilidade e risco a utilização das instruções a seguir. Adding page store pool ..
After publishing an article in the openSUSE Wiki (in portuguese sorry) about AR.Drone, I am developing an application to control it using the library opencv computer vision to Processing and using your camera in the operating system openSUSE 11.4. The source code soon in The Open Build Service (OBS), For now, watch the video below of the image HERE. 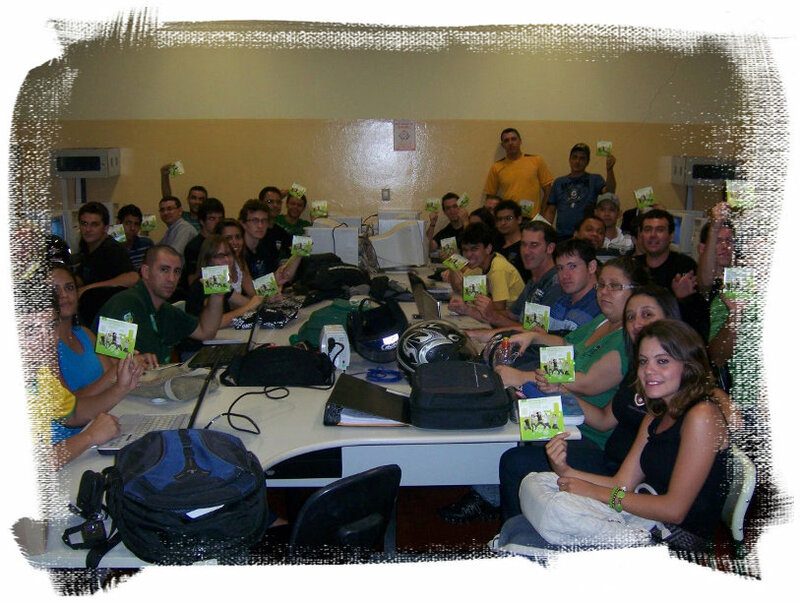 openSUSE in ETEC of Bebedouro/Brazil. Posted in Distribution | Comments Off on openSUSE in ETEC of Bebedouro/Brazil. LiMobile – Linux SDK for Mobile’s APPLE. LiMobile is a Linux distribution (based on openSUSE and created in fantastic SUSE Studio) designed for developing applications for the iPhone and iPad without using Xcode compiler, the system and MacOSX MacBook notebook. Posted in Hackweek | Comments Off on LiMobile – Linux SDK for Mobile’s APPLE. The formidable Carlos Ribeiro, researching tools and marketing resources used within the free software found one that deserves mention, the Cheat Cube project fedora. From this model fedora using inkscape and drew a cube version for openSUSE. Congratulations Carlos Jedi. 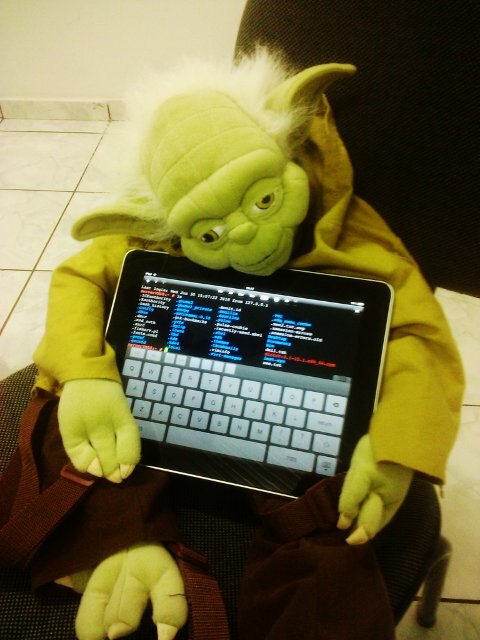 Posted in Distribution | Comments Off on Posture of a Jedi. 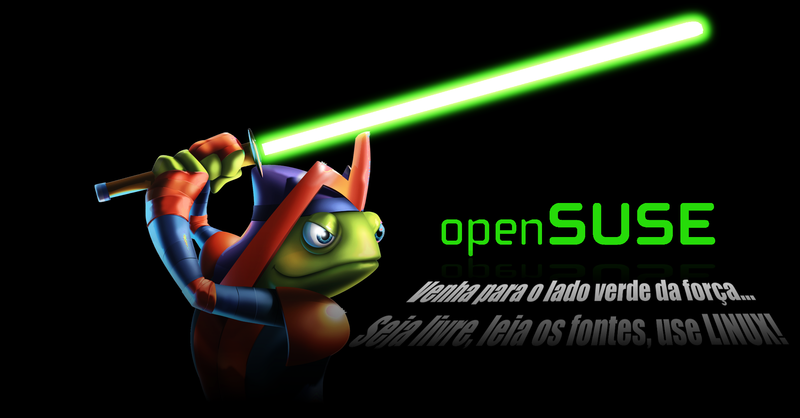 My Wallpaper and Banner with gecko jedi. 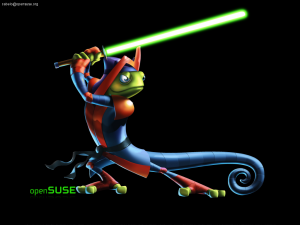 Below my wallpaper and banner with Master Gecko Jedi… Use the force, Read the source! Posted in Artwork | Comments Off on My Wallpaper and Banner with gecko jedi. With a ipad in hand, I saw the exclusion of Apple with Linux users, so I wrote a text on how to communicate ipad and Linux here! Use the force, READ THE SOURCE!